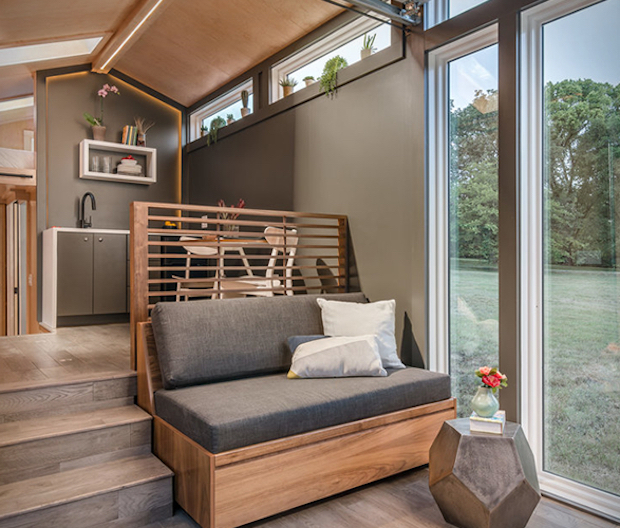 The Orchid Tiny House features floor-to-ceiling windows and glass walls ensuring maximum natural lighting and providing stunning views of the surrounding location. 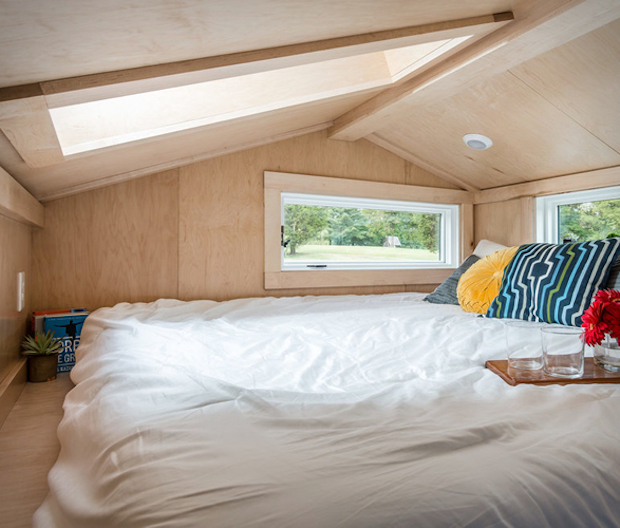 The skylights provide additional sources of natural lighting to the interior of the home. 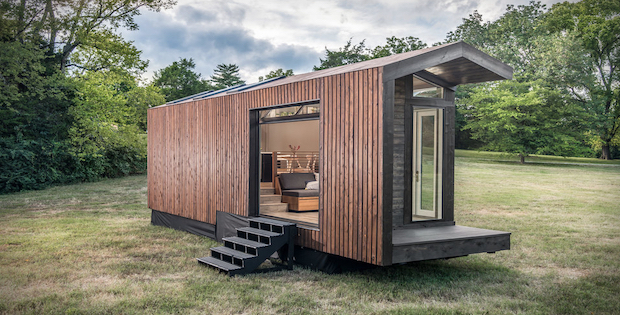 For a tiny home, it’s designed to feel spacious. 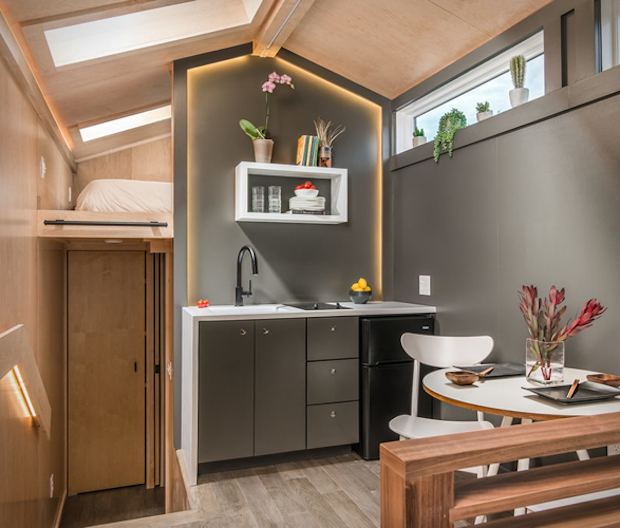 The elevated kitchenette adds to that feeling, giving the floor plan a more dynamic look as opposed to the usual straightforward and flat design. 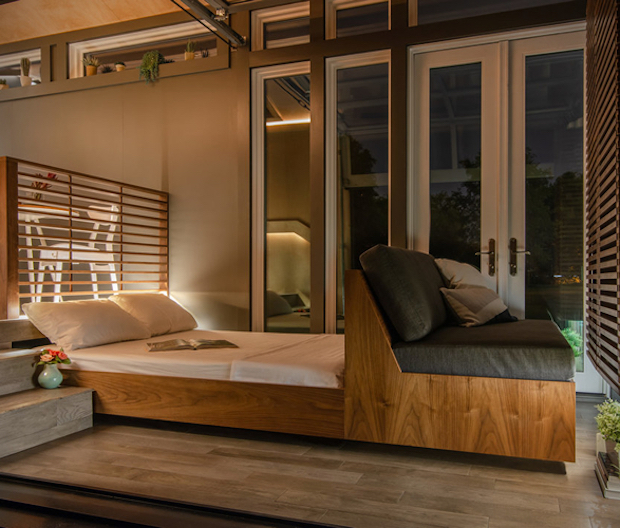 If you need extra sleeping space for guests, the sofa in the living area can be pulled to reveal a pullout bed. Now that’s smart space management. 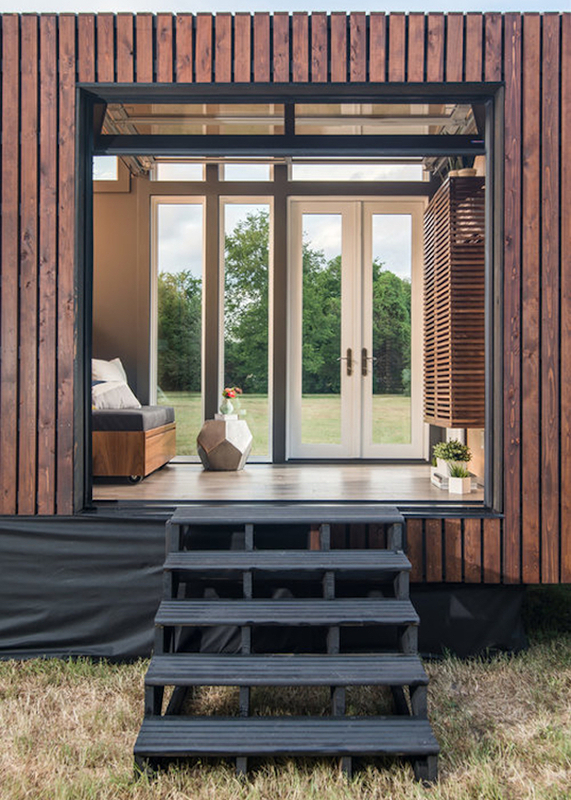 Following the full solar eclipse of 2017, we felt inspired to recreate this experience within the home. After all, an eclipse is the ultimate and original form of valance lighting. 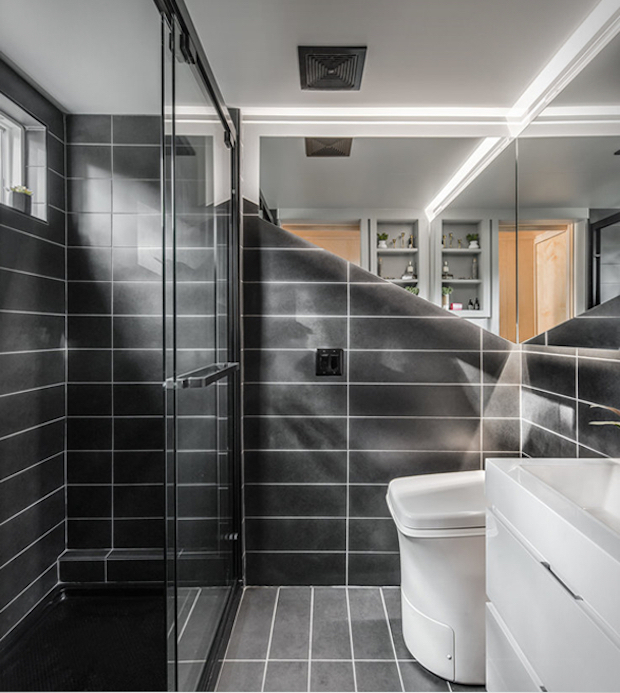 To execute this effect, David hides LED strip lighting behind trim throughout the entire home. While you see the light pouring over a wall, creating a shape and mood, the actual source of the light is never directly visible to the eye. The valance lights run along many of the asymmetrical lines of the house and are focused on the central wall within the kitchenette.